Many workers complain of symptoms caused by physical strain suffered in the workplace. The common causes for this are incorrect loading of the musculoskeletal system, monotonous movements, or an ergonomically unfavorable body posture. Older workers, in particular, often suffer from disorders of the musculoskeletal system or other limitations as a cumulative effect of their many years on the job. 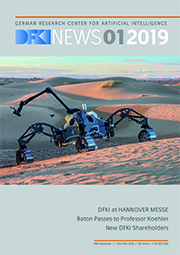 DFKI, as coordinator the EU-funded BIONIC project, is working with ten international partners in medicine, biotechnology, electronics, information technology, and artificial intelligence to develop intelligent solutions that will reduce such health concerns. BIONIC is shorthand for the study of “personalized body sensor networks with built-in intelligence for real-time risk assessment and coaching of ageing workers in all types of working and living environments.” The project results will be validated in pilot tests with construction and factory workers. Several partners have successfully worked on the development of a BSN as part of the EU sponsored and DFKI-managed “EASY-IMP” project. 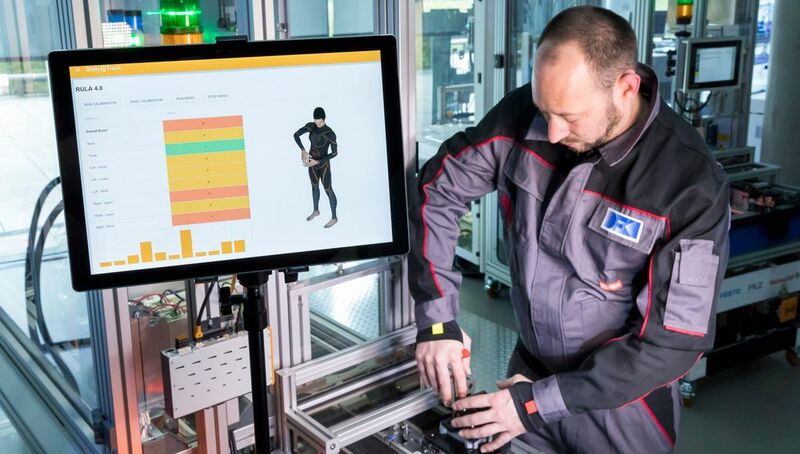 The predecessor project used small inertial measurement sensors (IMUs) attached to the clothing or affixed to the skin for the analysis of body movements. BIONIC is further developing the lightweight and modular design of the system to facilitate easier integration. Algorithms for ergonomic risk assessment of physical loads are developed using biomechanical models of age-related and chronic impairments. Among the input parameters are things like posture, forces, and torques as well as physiological parameters like heart frequency and body temperature. Objective and subjective data form the basis of procedures that are then complemented by personalized algorithms for further use in Deep Learning methods. All generated data are stored in accordance with the EU Data Protection Directive.